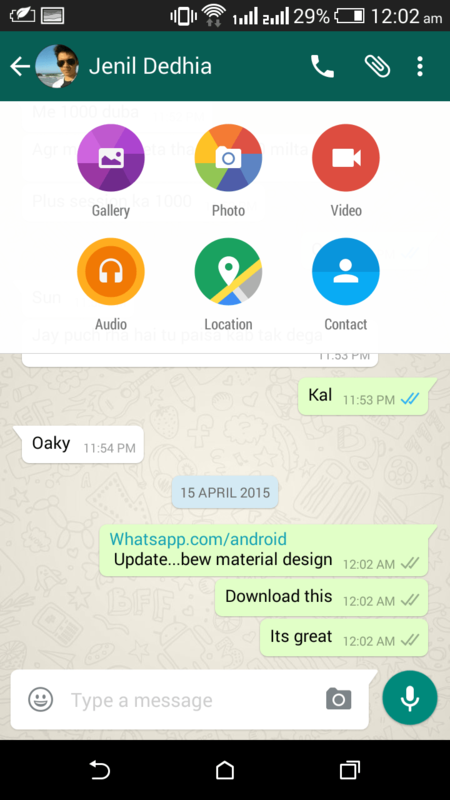 So at last, the messaging app Whatsapp has been updated with the Material Design of Android Lollipop 5.0 . This update is still not available on Google Play Store but you can find it on the official website. You can download the updated version 2.12.34 of size 19MB from there. It has a whole new set of animations and changes to the UI of the app. Also now Android users can now make phone calls on the app without having to be called first. The colour scheme is dark green. The visual is quite refreshing and better to use. There has been many small animations which has spiced up the app without which it would have made the app rather boring. The app features new icons, animations and emoji-tray along with its voice-calling feature. 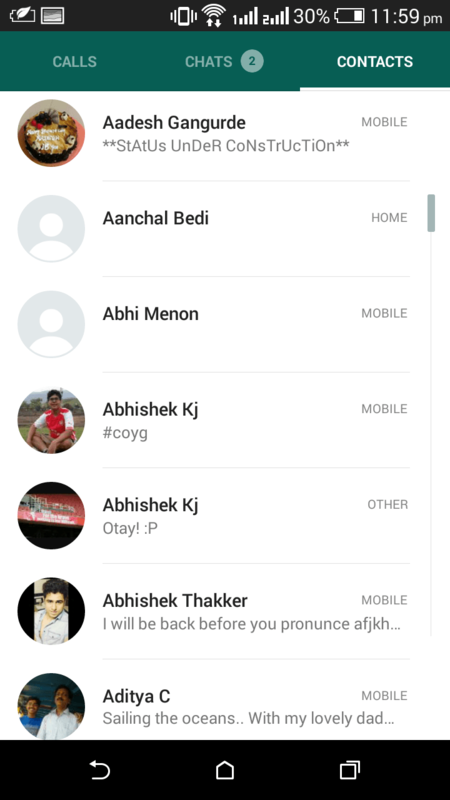 After opening the app, the taskbar in the top is merged with calls, chats and contacts column, all in single colour. The main bar which had the search, action and overflow buttons now can slide easily between contact, chats or recent calls. The attachment icons are bigger and much more colourful. Many animations like sharing an image and opening one has changed. Further if you open a conversation and click on the user’s name, you could see the bigger image of the profile picture and other details like status, common groups, media and stuff. Also Flipping the phone (Rotation on) and seeing it could give a more cool way to look at the user’s profile. It shows profile display image on one side and other details on another side. Even though with so many changes, there is no difference in the Settings panel and notification alerts. 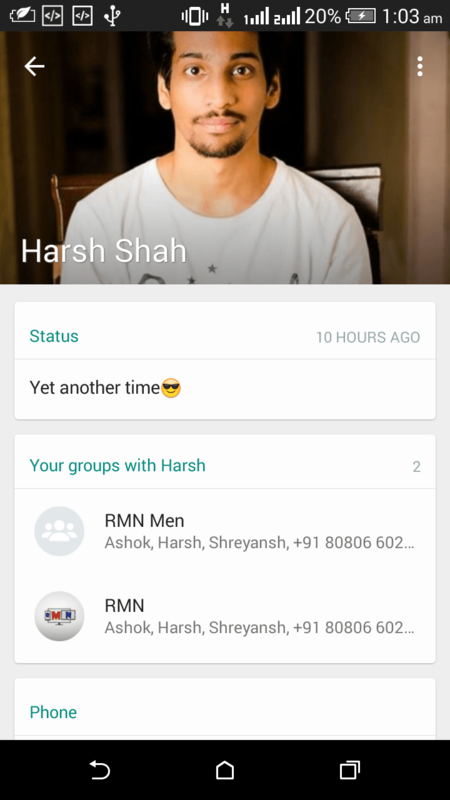 Overall, this isn’t a major boost to this app, just the new material design and looks has made the popular messaging app Whatsapp fresh and contemporary. So if you don’t want to wait for the update to arrive on Play Store, you can download the .APK straight from Whatsapp website. Whatsapp has confirmed that Windows phone devices would soon receive the voice calling feature. 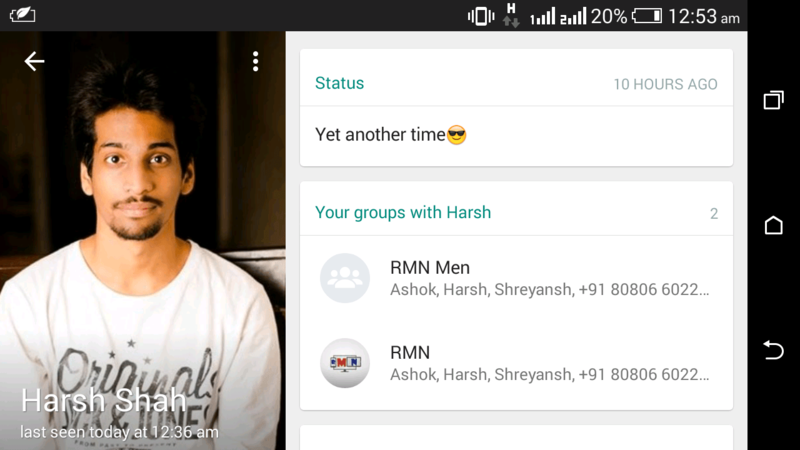 This feature is only available on Android devices and is yet to reach the iOS users. Whatsapp co-founder , Brian Acton, has confirmed that this feature would be rolled out to iOS users in couple of weeks. 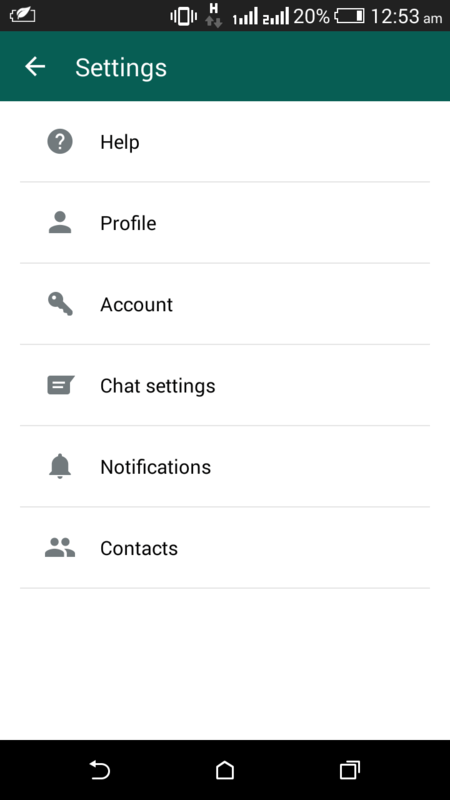 Any comments or suggestions on the new material design of Whatsapp? Feel free to write it down. And do not forget to subscribe to ReadMeNow for further tech and apps review.